Those who overcome will eat from the tree of life in paradise. which is in the Paradise of my God. In chapters 2 and 3 in the book of Revelation, we read how Jesus has a specific message for seven of the churches that were around in that day. The words that Jesus spoke to these churches was very sobering indeed, but I think it is important to remember that each one of His messages ended with a promise. In today's Scripture passage, Jesus finishes off His exhortation to the church at Ephesus with the promise that those who overcome will eat of the tree of life in the garden of God. This is an incredible promise of complete restoration for all those who are in Christ. Everything in humanity's history began in a garden and it was from those lofty heights that Adam and Eve fell. It has always been God's heart to restore to His people to all that was lost the day Adam and Eve left the garden. 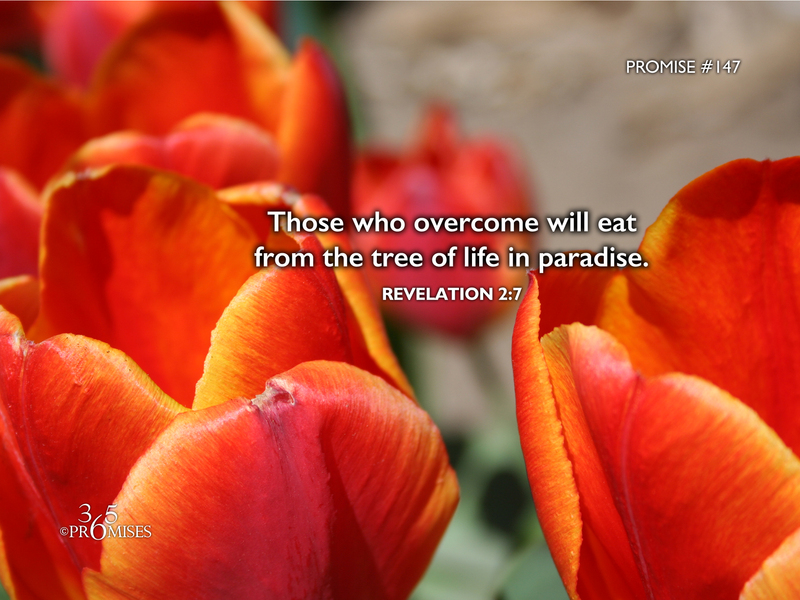 In today's promise, Jesus reminds us that those who overcome will be restored to even more glory than what Adam and Eve enjoyed before they fell. No matter how difficult life can get here on earth, may we all be reminded that our destiny is to live forever, completely restored to all that our Father originally intended for us. Because of the finished work of our Elder Brother Jesus, you and I will one day taste of the choicest fruit from the tree of life itself. Hallelujah!